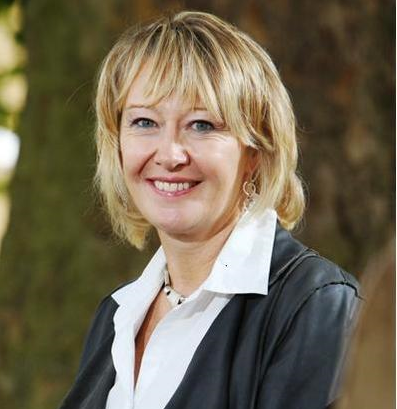 Fiona Jeffery, chair of the World Travel and Tourism Council Tourism for Tomorrow awards, in this interview shares her tourism and sustainability story – how it all started, and why she has recently moved from leading the tourism trade fair WTM to supporting the water charity Just a Drop. How the WTTC Tourism for Tomorrow Award benefits proactive businesses. Fiona, as a business person, what was your view on the importance of sustainability in travel and tourism when you started your professional career? When I started in the industry, it wasn’t really on my radar, but when I took over World Travel Market in 1994 I simply felt that unless as an industry we protected the very product we were seeking to promote, we’d eventually destroy our own business model. So I created Environmental Awareness Day in 1996, which attracted about 30 people and was a side-show in a room. Now called World Responsible Tourism Day, it has become a core pillar of the World Travel Market, and attracts the largest gathering of responsible tourism professionals in the world, with over 3,000 attending its 4 day educational programme. From your experience as tourism business and marketing executive, where do you see the priorities in terms of sustainability? There are many but community wellbeing, wildlife protection, environmental protection and climate change, and its impact on water resources all feature. More education is needed for things to change. Sustainability has to be something that should be built into tourism businesses’ training programmes. It should be seen as that important. In the same way as you receive sales or marketing training on the job, you should understand what is meant by sustainable tourism practises, what this involves, and have updates on new strategies and developments to improve your personal and business impact. No I don’t, not enough mainstream operators take it seriously enough. More companies in my view have to walk the walk for it to become mainstream. I wish it was. Did sustainable tourism play any role during your time as Managing Director and later Chairperson of the World Travel Market? For me it was a key strategic pillar of my business. WTM’s Environmental Awareness Day was designed to help raise awareness of the issues and educate the industry. It wasn’t a revenue stream, but a commitment to our industry to find better ways of doing things, to get smarter and develop a more acute social, environmental and cultural conscience. It evolved then into the Responsible Tourism Day with a full education programme. Why did you launch the World Responsible Tourism Day in 2007? It was a natural development and evolution from its previous incarnation, but this time I had the full backing of the UNWTO. Do you think being mother of two kids has influenced your view regarding the necessity for sustainability in travel and tourism? Most certainly. We all have a greater sense of responsibility when we become parents. But I was also very aware of my responsibilities to the industry when running World Travel Market, and I always wanted what we did to count and add value in a way that went beyond the important commercial benefit of being at World Travel Market. I’ve always believed that doing business is one thing, but we should also contribute in a broader way, where we can. I was lucky to be in a position where I could influence, and focusing on the sustainability agenda was a way of making people think differently. Why did you decide to found water-aid charity Just a Drop? I created Just a Drop for two reasons. Firstly, I became a Mum and wanted to encourage my industry – travel and tourism – to give back to children and their communities across the world. Secondly, too many people were ignoring the sustainability agenda, finding it difficult to get their minds and business operations around, so I decided to create something that people could still make a contribution towards and find that as a consequence they were able to transform people’s lives by donating to our projects in the field. So if I wasn’t able to engage them on the sustainability agenda, I hoped to appeal to them on a corporate social responsibility and philanthropic one. The important thing was finding a way to genuinely improve people’s lives in a way that was sensitive to the environment, and make a positive contribution and difference. The fact that a child dies every 20 seconds due to the impact of either dirty or lack of water, both entirely preventable, seemed to me a strong enough cause. To date Just a Drop has helped 1.5 million people across 31 countries but there is still a lot to do. Your (career) advice for newcomers to the sustainable tourism business field? Listen to your conscience and ensure that, whatever job you take, you put sustainability in the agenda as part of its DNA. Balance short-term issues with long-term goals. Why did you join UNWTO’s World Committee on Tourism Ethics in 2013? I was honoured to be invited onto the committee and started officially in 2014. We have two meetings a year. The Chairman is a very insightful Frenchman, Pascal Lamy, who was once head of the World Trade Organisation. Your observations as Chair of the Selection Committee of the WTTC Tourism for Tomorrow Awards? The entries this year were inspiring as always and exciting, because they prove that running successful businesses in a sustainable way is absolutely achievable, but it takes vision, commitment, leadership and hard work. The diversity of entries was particularly pleasing, suggesting that sustainability is potentially becoming more mainstream and attracting commitment across a broader reach of businesses. So we’ve had a range of applicants across small, medium and large commercial operations all making a big impact, which is very encouraging. I have been very ably supported by the international team of expert judges led by Graham Miller, Professor of Sustainability and Head of the Tourism and Hospitality School at Surrey University. I have huge confidence in the team of judges selected, and we share knowledge and insights, and have detailed and involved discussions. What’s always interesting is you can think one thing, believe it’s quite clear cut and then someone can put forward a very different perspective, which has to be taken into account. It’s not an exact science. What makes the Tourism for Tomorrow Awards such a special venue? What makes the Tourism for Tomorrow Awards special is that they really are the leading accolade in responsible and sustainable tourism awards. The judging criteria are extremely rigorous and thorough, with every finalist visited personally by an expert judge able to undertake a root to branch review and ensure the authenticity and veracity of the submission. How do you keep up to date on sustainable tourism developments? I learn from the engagement with professional colleagues active in this space. I sit on a number of industry boards and work with a number of organisations, and I learn hugely from all of them. If I’m honest, due to a lack of time I don’t spend much time reading specific articles or blogs unless they come in online. How does the WTTC Tourism for Tomorrow Award help tourism businesses and destinations? It helps, first of all, by becoming a first class accolade they can use to effectively market their business or destination. But in addition, they become part of the Tourism for Tomorrow network and I want to increasingly be able to harness the hard-earned knowledge and respect these individuals and companies have garnered, and use them to educate others in the industry on best practise. To encourage and share learnings more, so people don’t have to reinvent the wheel each time, but can tap into this hugely valuable insight these organisations now have and be able to share with the industry at large. We need to find the right mechanic to do this, but it’s very important to me to do this. Connect with Fiona Jeffery on LinkedIn. 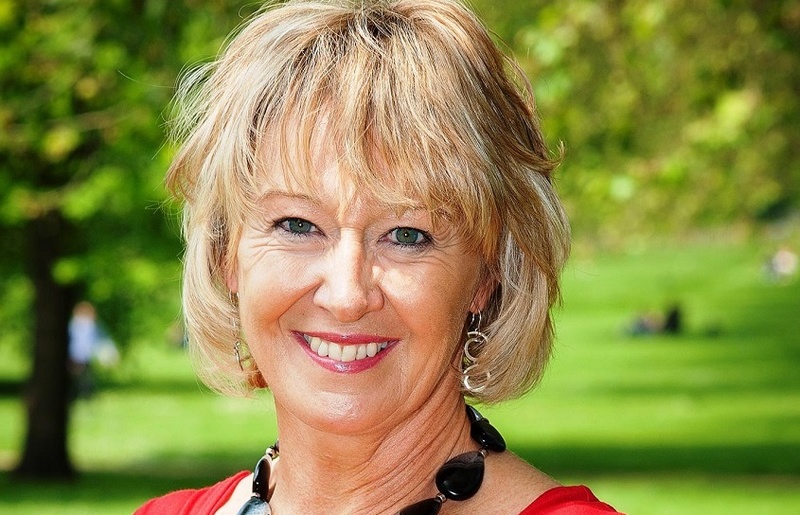 Since 20 years, Fiona Jeffery OBE, has been advancing sustainability and ethics in international tourism, both as the former Chairman of the World Travel Market (WTM) and now as chairperson of international water aid charity Just a Drop. Born in Scotland in 1960, Fiona graduated from Edinburgh University with a BA in French and Spanish and honours in Italian. Fiona is also a trustee of the charity The Travel Foundation and received the Shine Woman of the Year Award in 2008. However, Fiona says her best job is being a Mum to Cameron and Lauren, and spending time with her family. For more about the Just a Drop water charity, click here. Enjoyed our interview with Fiona Jeffery, founder and director of water charity Just a Drop and Chair of the WTTC Tourism for Tomorrow Awards? Share and spread the word!